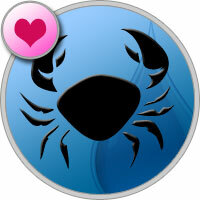 Cancers love horoscope does not promise serious problems, but still it is worth being careful in communicating with loved ones. Your words may be misinterpreted, so try to be as discreet as possible. Not the best period for conceiving a child. The stars promise the kid a complex and difficult fate, so do not rush to the completion of the family. The number of love 8 symbolizes mutual interest and strong attraction. However, there may be conflicts on the basis of professional activities, unless the partners are united by a common cause.